Auditioning ‘Best in Class’ 13-16 year old Drummers & Guitarist. Experience and enjoy performing originals and covers with established young Artist and musicians. 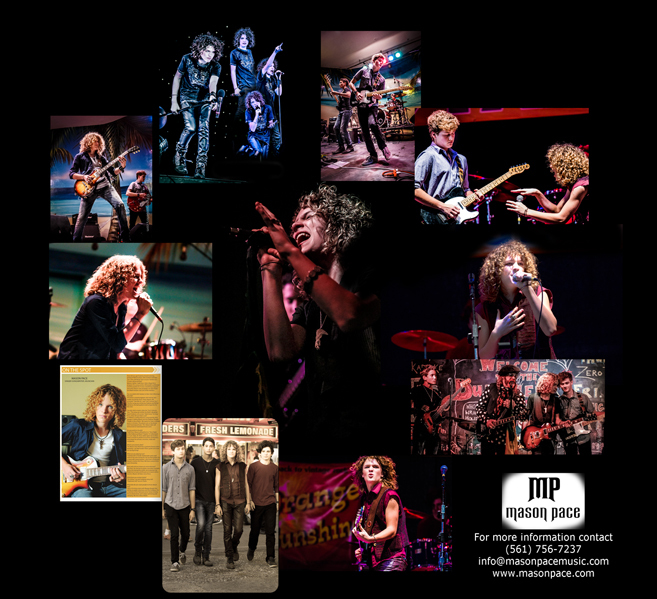 The band has been actively performing for over a year with the support of managers, photographers videographers and Grammy Award winning celebrity songwriters. For more information contact (561) 756-7237 or email info@masonpacemusic.com.